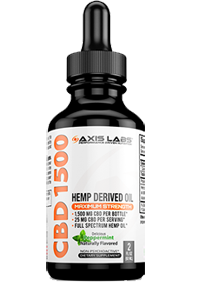 Home / Joint Support / Blackstone Labs Orthobolic 60ct., BOGO Availble!! Blackstone Labs Orthobolic 60ct., BOGO Availble!! Special Promo – buy 1, get 1 at 50% off on Blackstone Labs Orthobolic, with just a very small shipping fee included in price! Discount will show up in shopping cart when you select 2 or more items. Special Promo – buy 1, get 1 at 50% off on Blackstone Labs Orthobolic, with just a very small shipping fee included in price! Discount will show up in shopping cart when you select 2 or more items. This is for a limited time only!! Orthobolic is a multi-faceted joint formula that helps with joint discomfort and stiffness, as well as strengthening cartilage. Orthobolic works with your body’s natural anti-inflammatory processes, as well as decreasing your body’s pro-inflammatory enzymes. PEA is an endogenous fatty acid that is your body’s natural anti-inflammatory molecule. PEA works by reducing the activation and mitigation of mast cells. Mast cells are white blood cells that releases mediators that are pro-inflammatory such as histamines, inflammatory cytokines, prostaglandins, and reactive oxygen species(ROS). Some studies also suggest that it can bind to COX-2(same as ibuprofen) as well as your endocannibinoid receptors, which can help mediate pain and inflammation. Worth noting, to date PEA has no known drug interactions which implies it’s very safe for anyone to supplement with. Doses vary but as little as 200mg a day has been shown to have an affect on inflammation. Boswellia Serrata extract is an all natural lipoxygenase-5(LOX-5) inhibitor, it blocks the conversion of fatty acids into leukotrienes like histamines, prostaglandins, and other pro-inflammatory molecules. One of the active compounds is AKBA(3-O-acetyl-11-keto-boswellic acid). Boswellia Serrata Extract acts very quickly, showing a 70% reduction in joint discomfort and 63% reduction in joint stiffness in as little as 7 days. From the turmeric root, curcumin and curcuminoids decrease the expression of pro-inflammatory cytokines like IL-6, TNF-alpha, NF-kappaB, COX-2 and LOX-5. TNF-alpha can destroy joint cartilage. Data for curcumin shows to decrease swollen joints and tenderness by 70%. Curcumin can also increase anti-inflammatory enzymes in your body, as well as increase free radical scavenging(decreases ROS). Bioperine(black pepper extract) has been shown to increase bioavailability of curcumin by 2000%. CQ stimulates the metabolism and uptake of calcium by osteoblasts (bone cells) which increases healing in fractures. A meta analysis of CQ has shown to reduce healing time by 40%+. CQ enhances your body’s natural healing process. It has also been shown to decrease joint discomfort and increase functionality. CQ can also increase collagen synthesis in osteoblasts. UC-II is an ingredient containing undenatured type II collagen. This can help with your body’s natural process of removing damaged collagen/tissue and repairing damaged areas. Type II collagen can also increase production of anti-inflammatory cytokines, as well as help heal cartilage. Studies show that once a day dosing of UC-II can reduced perceived pain levels by 33%, including a reduction in all tests used to determine perceived pain(WOMAC, VAS, and Lequesne). All studies show that subjects reduced the amount of OTC pain medication by 67% within the first 30 days. 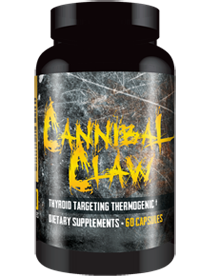 Chaos and Pain Cannibal Claw 60ct, BOGO Available!! 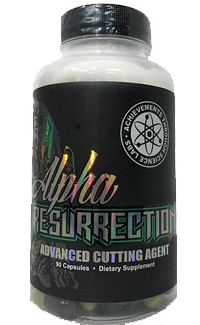 ATS Labs Alpha Resurrection 90ct, BOGO Available! !